Byron has been working in the real estate industry within the City of Knox for well over 10 years and in this time he has developed a highly regarded reputation for his professional and friendly approach. As the Managing Director of Harcourts Rowville, Byron enjoys the challenges of leading a successful team with the continual desire and passion to maintain an exceptionally high level of service and results on all occasions. As important as Byron's role is to manage the direction of his staff and office, nothing pleases Byron more than to help a client of his fulfill their real estate needs. Whether it be selling their home for a great price, helping a client find their dream home, finding a qualified tenant for an investment property or helping a client who is trying to secure a rental property to lease - Byron is always happy to lend a helping hand any way he can. If you are looking for a professional and informed real estate service from an experienced local agent, then contact Byron Sweerts today on 0411 413 666. After a successful and illustrious career as a financial planner spanning over 15 years, Julia has decided on a complete career change and has now joined the Harcourts team. With a keen eye to detail her highly developed administrative background ensures a seamless and enjoyable experience for all clients of Harcourts Rowville. Julia has had a keen interest in real estate since purchasing her first home and loves encouraging others to find joy in property as well. Having lived in the Knox area for her whole life Julia has an excellent knowledge of the local area. In her spare time Julia enjoys sharing a good meal with friends and family, including her husband Byron and two sons Josh and Nick. Leanne started working in real estate in 2001 and since then has developed her skills by focusing on real estate administration, property management, and off the plan home sales. With such a vast knowledge of the real estate industry Leanne was the perfect person to manage the Harcourts Rowville office. Leanne’s happy and friendly nature combined with her desire to go above and beyond, makes her a pleasure to deal with. Outside of work Leanne likes to spend time with friends and family and also enjoys taking her dog for a walk. With over 15 years experience in Real Estate, Lisa’s dedication to her work has allowed her to build a thorough knowledge of all aspects within the Real Estate industry. Lisa's eye for detail and appreciation of the needs of others make her an outstanding negotiator. She can be relied on to efficiently cope with any situation due to her exceptional communication skills which enable her to conquer any challenge thrown her way. Lisa McNiven considers her best strengths are being patient, responsive and decisive when it comes to helping clients reach an astute decision regarding a potential property. A highly organised, determined and hard working person, Lisa is also very approachable and empathetic to her clients’ requirements at a time that is often very stressful. She understands they are making some of the biggest financial decisions of their lives. Building relationships with her clients and seeing them achieve their real estate dreams is the aspect of real estate she finds most rewarding. With a friendly and professional personality, Omar’s goal is to always deliver a superior level of service and advice to every client he is liaising with. With a strong background in the sales industry, Omar enjoys the daily challenge of helping as many buyers and sellers as possible with the smooth transition into their new home. Fluent in English as well as being able to speak Arabic and Spanish, Omar is able to connect with a wide variety of clients, giving him the ability to create strong and long-lasting relationships. In his free time, Omar enjoys playing soccer and spending time with his family and friends. If you are fortunate enough to have Omar assist you with your real estate needs, you can be rest assured, he will leave no stone unturned in his quest to ensure all of your real estate needs are looked after. Contact Omar today to experience a refreshing and genuine real estate experience. 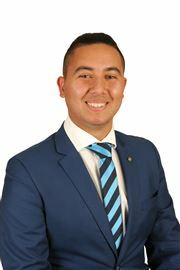 Sam is recognised by his peers for being one of the friendliest and enthusiastic real estate agents you could possibly meet. With a down to earth approach and a continual dedication to offering his clients a service level which is above and beyond expectation, you can be assured your real estate experience with Sam will be both professional and enjoyable from the outset. 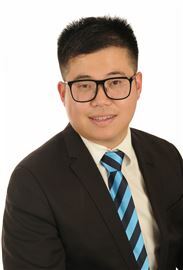 As a result of living in the local area for over 10 years and with the ability to communicate fluently in both English and Mandarin as well as understanding the Chinese culture, Sam is able to effortlessly assist sellers, buyers and tenants not only on a local level but also with the transition into the area from overseas. Sam remembers purchasing his first home many years ago and he has since bought an investment property and he is now embarking on a renovation project which he believes will be beneficial to helping him become an even more rounded real estate agent. Sam loves helping people. If you are a seller seeking advice with how to best present your property to market or if you are buyer needing that extra helping hand and guidance with securing that elusive next property, Sam is keen to offer his assistance. With a strong focus on building long-term relationships with his clients through a high level of customer service and dedication to his role, Sam is proud of his reputation within the fast-paced real estate industry. Joining the team at Harcourts Rowville paralleled Sam’s level of integrity and passion and he looks forward to building a long and successful career within a supportive and successful team. If you are searching for a hardworking and passionate real estate agent, you are welcome to contact Sam on 0401 345 778. You will not be disappointed.